Thrombocytopenia is a condition where there are abnormally low numbers of platelets in the blood. A normal platelet count may range from 150 – 450 x 106 per mL of blood. The function of platelets is to stop bleeding by clumping and clotting blood vessel injuries. Platelets are derived from the megakaryocytes within the bone marrow, therefore, if a drug treatment inadvertently targets the megakaryocytes, there will be a decreased production of platelets. Alternatively, a drug may inadvertently cause an increased destruction of the mature platelets, both scenarios will result in thrombocytopenia. Platelets are derived from precursors in the bone marrow. These cells go through proliferation, differentiation, and endoreduplication to generate platelets. 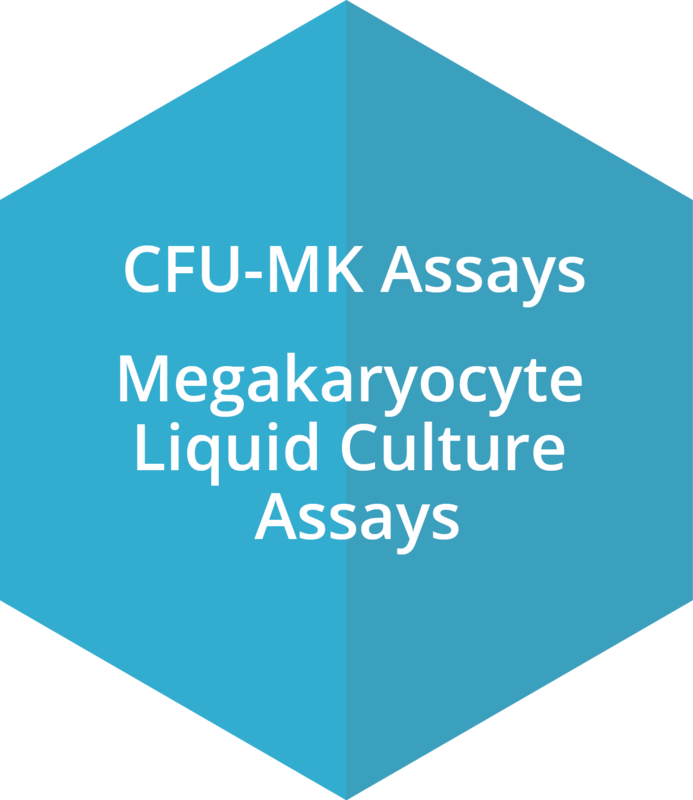 By adding the test compounds to bone marrow cells in a collagen-based semi-solid matrix, we can evaluate their effect on the clonal growth of the CFU-Mk (colony forming unit- megakaryocyte) derived cell. This in vitro assay has been prevalidated with support from ECVAM (European Centre for the Validation of Alternative Methods). Additionally, we have a liquid culture system utilizing primitive bone marrow cells and specialized cytokines, which allows assessment of the maturing megakaryocytes and platelets by flow cytometry. We have two distinct assay platforms for thrombocytopenia that allow us to assess whether test compounds have an effect on the production or the destruction of platelets. These assays may be performed on bone marrow derived from multiple species, including many species that are used routinely in toxicology studies. Our recent publication confirms the utility of the CFU-Mk assay to assess whether test compound are affecting the early progenitor cells or whether they are affecting platelet production. Megakaryocytes are immature bone marrow-derived cells which grow and mature and eventually release platelets. 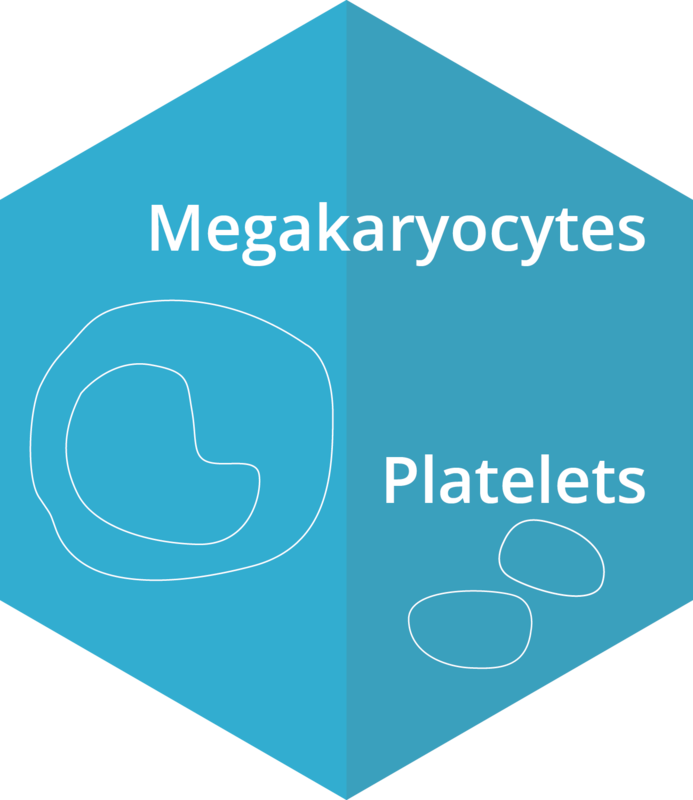 Unlike many other cells, platelets have no nucleus and are derived from the cytoplasm of the megakaryocytes. Platelets are involved in blood clotting, and therefore, a significant reduction in these cells can be deleterious or even fatal. Some drugs or radiation therapy inadvertently affect platelets and cause thrombocytopenia. The CFU-Mk assay has been prevalidated with support from ECVAM. For this assay, bone marrow cells are suspended in a collagen-based semi-solid matrix, which facilitates the development of 3D colonies. IC50 values generated with this assay can assess if compounds have an effect on platelet production. The megakaryocyte liquid culture assay, using primitive bone marrow cells and assessment of CD41 expression by flow cytometry, allows for the assessment of megakaryocyte and platelet development and number. CFU-Mk cultured in a semi-solid matrix, in the presence and absence of test compounds, are scored at the conclusion of the drug treatment protocol whereby IC50 values are calculated. 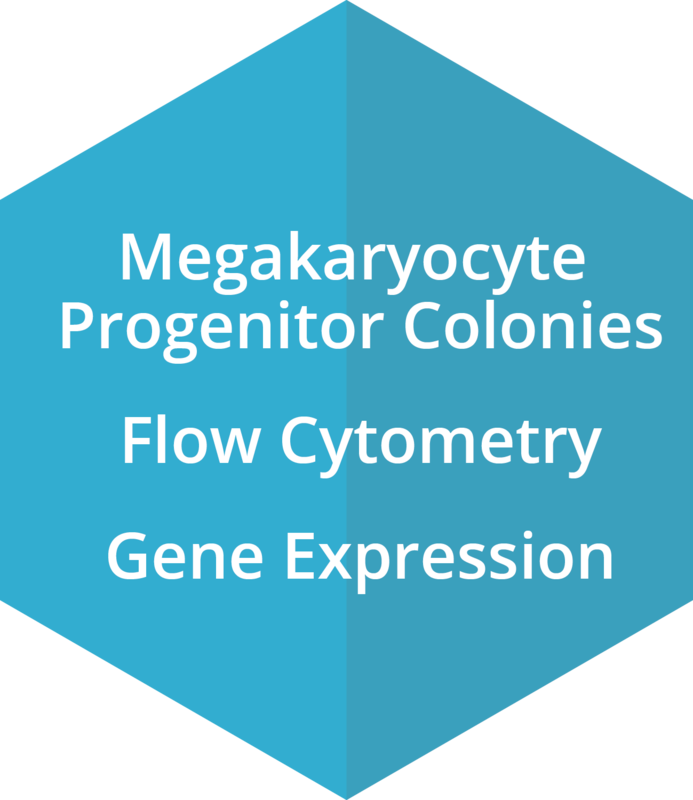 Individual megakaryocyte progenitor-derived colonies may be plucked from the matrix and assessed for gene expression. Kinetic assessment of platelet production from megakaryocytes can be analyzed by flow cytometry and cells may be harvested at various times to assess the effects of compounds on molecular targets. 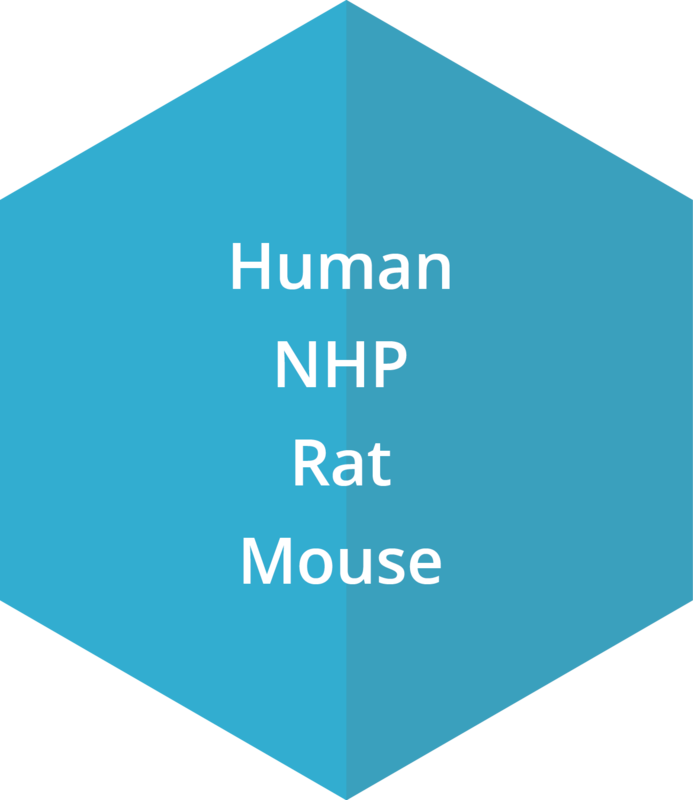 CFU-Mk can be cultured from a variety of species that include human, NHP, rat and mouse. ITP (idiopathic thrombocytopenic purpura) is an autoimmune disease with antibodies detectable against several platelet surface antigens. The coating of platelets with IgG renders them susceptible to opsonization and phagocytosis by splenic macrophages. Recent research suggests that impaired production of the glycoprotein hormone thrombopoietin, which induces platelet production, may be a contributing factor to the reduction in circulating platelets. This observation has led to the development of a class of drugs referred to as thrombopoietin receptor agonists. 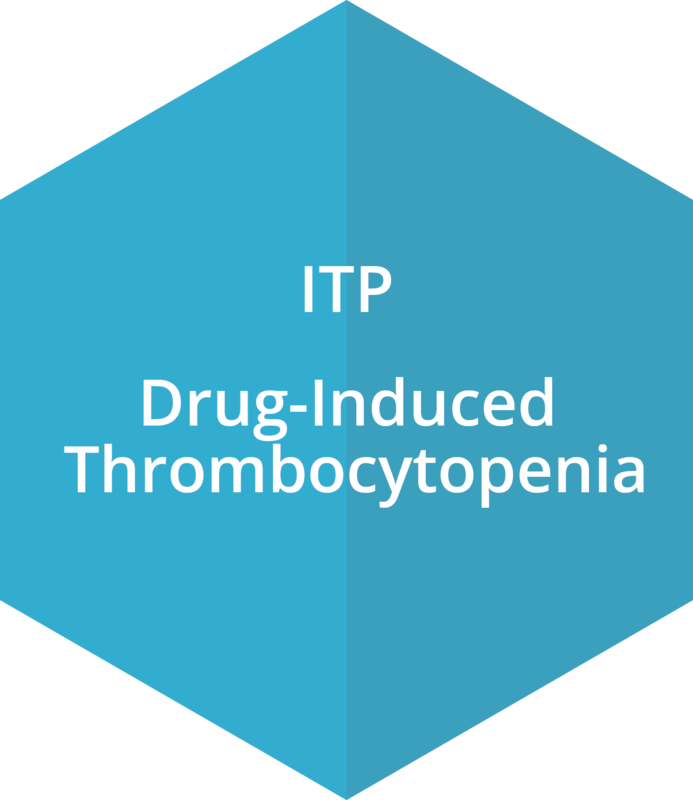 Our platform of assays can also address the process of drug-induced thrombocytopenia.